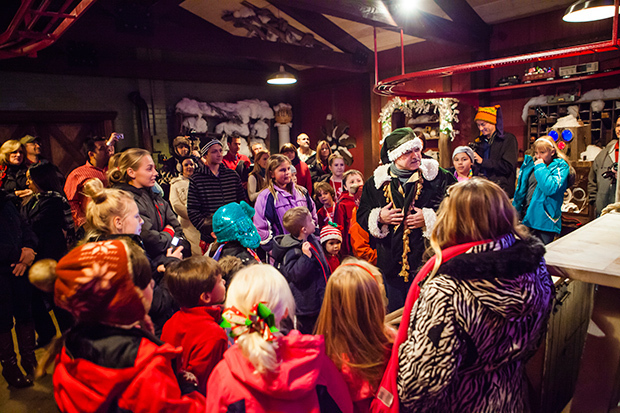 Delight in the magic of the holiday season at Santa’s enchanting, 400-year-old workshop. Join us for an unforgettable North Pole experience inside the toy factory, Mrs. Claus’ Bakery, Elf University, Santa’s Sleigh Hanger, and family time and photos with St. Nick himself. Santa’s massive workshop is one impressive sight to see. 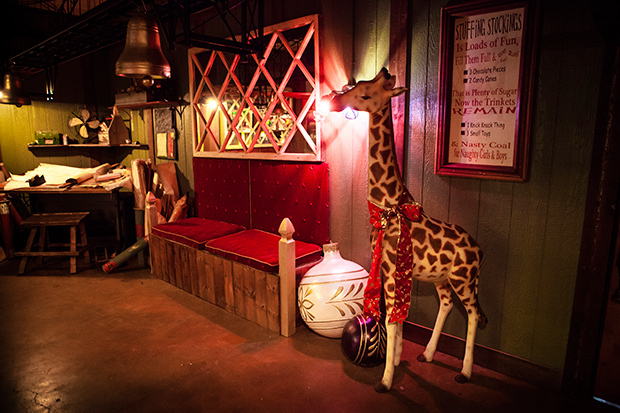 Take a peek at the place before you arrive, we won’t tell the elves. Voted best holiday experience for children. AZ Foothills Magazine 2016 and 2018. Your journey begins by boarding one of Santa’s Magic Trolleys at the breathtaking Little America Hotel. Your Trolley Elf will whisk your family away and transport you through the Magic Portal to the enchanted North Pole destination, Santa’s Grand Workshop. 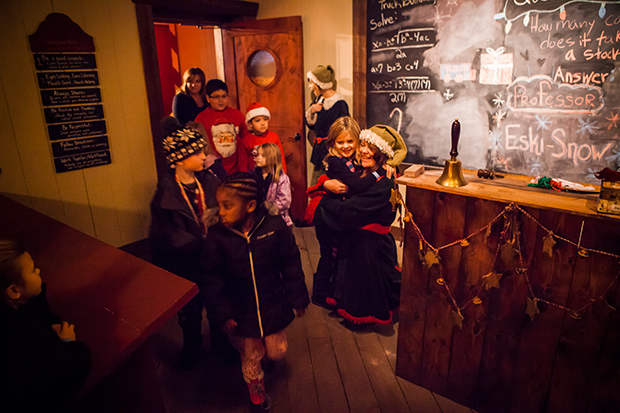 Once you knock on Santa’s Grand Workshop doors, you’ll experience a holiday family adventure unlike any other. First stop is Santa’s famous Toy Hall of Fame. Next, it’s all hands on deck as you help Santa’s Elves build toys for children around the world! Next it’s on to Santa’s Factory and Mrs. Claus’ Bakery for her signature hot cocoa and treats. Once you’ve had your fill of holiday sweets, it’s off to Elf University to earn your special elf diploma. From there, you’ll visit the busy North Pole mail room, where you can write a personal letter to Santa, then tour his top secret sleigh hangar and see his newest sleigh. 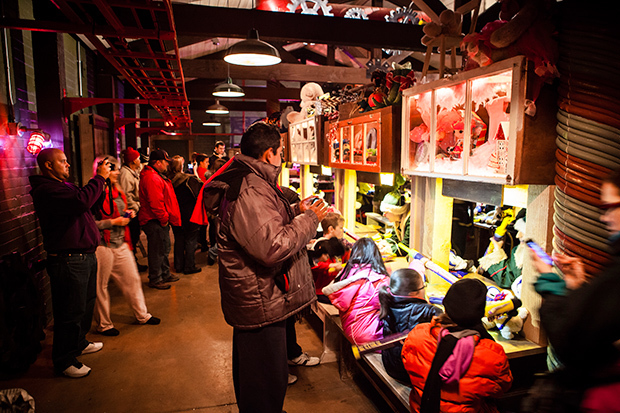 Every family that visits Santa’s Grand Workshop will get one-on-one time with St. Nick himself. Each family will receive complimentary digital photos, and each child will receive a 2019 Commemorative NPX teddy bear. Santa, Mrs. C and All the Elves can’t wait to meet you!! Paid child ticket required for collectable bear gift. 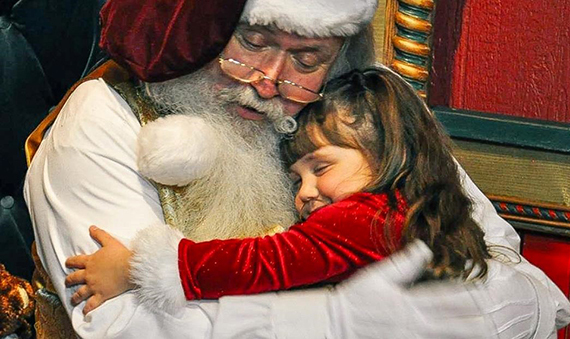 Make special memories & join Santa on Christmas Eve, “The Most Magical Day for Families.” As you help Santa prepare for his “Big Trip,” you will be honored as a VIP guest & will be given a Special Family Gift. 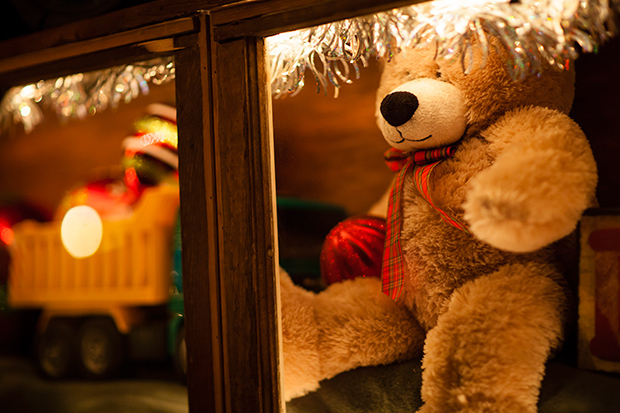 In addition, each child will receive a commemorative teddy bear from Santa himself. This was the BEST family vacation we had taken at Xmas time! My kids had the most amazing time from getting their Golden Tickets, to riding the trolley to the North Pole, then making toys for the children and signing with the elves while enjoying Snowman Soup and cookies.. Then the final adventure seeing Santa was the highlight!!! Such a fun exciting time our whole family had from beginning to end, Well done NPX!!! Thanks for the memories. Took my 4 yr old daughter who has not stopped talking about the experience. It was so incredible to see her eyes ‘light up’ and she absolutely LOVED every minute of the experience. It brought tears to my eyes to see the joy in my daughter. We had an absolute blast two years ago in Greer. We cannot wait to take our two up to Flagstaff. It’s such a magical place. I had dreamed of a place like this to take my child and they surpassed all of our expectations. I wish we could make the trip every year! The North Pole experience is a magical place. You feel like you are transported directly to the North Pole. The gleam in the children’s eyes when they realize they are visiting Santa’s Workshop is priceless. Their faces beam as they bounce from room to room. Being able to explore all the North Pole Experience has to offer is truly an event that all families should experience and one that children will never forget. My husband and I took our 6 children to the NPX and had the most memorable Christmas. It was like being a part of a magical Christmas story. 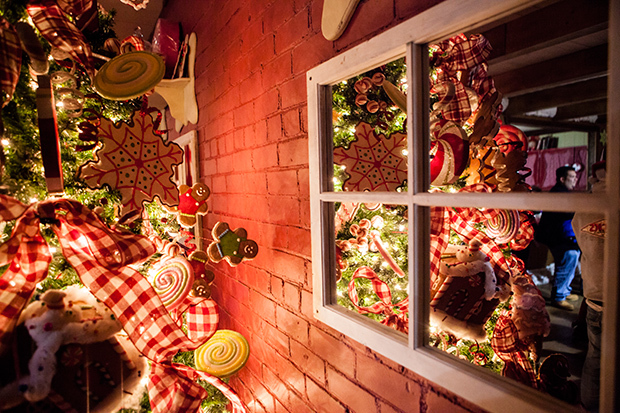 Delight in the magic of the holiday season at Santa’s enchanting, 400-year-old workshop. 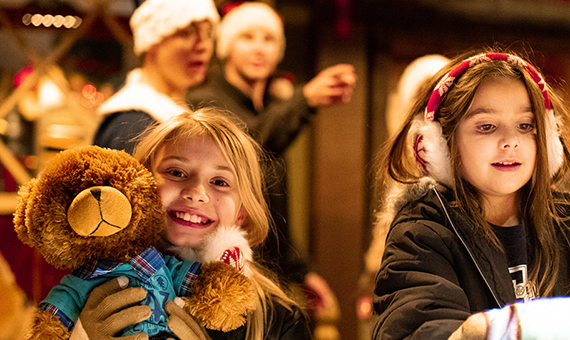 Join us for an unforgettable North Pole experience inside the toy factory, Mrs. Claus’ Bakery, Elf University, Santa’s Sleigh Hanger, and family time and photos with St. Nick himself. Keeping our North Pole shining brightly, our loyal guests travel from all corners of the world the North Pole to share in our love for the Christmas season. Now everyone can be on the nice list. Sign up for the North Pole Experience newsletter to stay up-to-date! Any e-mail sent by NPX provide's the option to be removed from the e-mail mailing list. 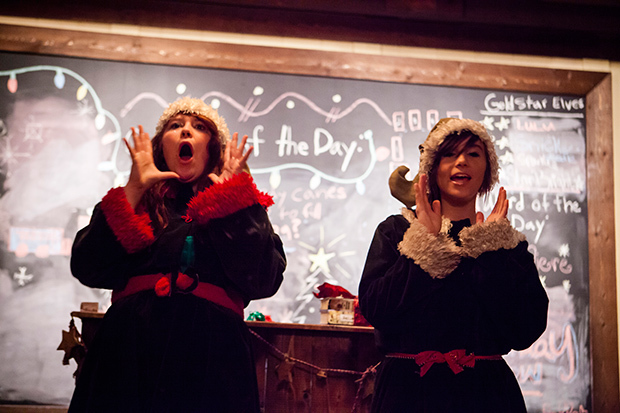 We'll keep you up to date about all things North Pole Experience, as long as you stay off the naughty list. NPX has partnered with another premier holiday and Christmas tradition in Arizona; The Little America Hotel, which is decked out in over one-million lights over the holidays and is the host as Santa’s trolley launch station. All trolleys will depart to the workshop from Little America, as well as dinner and Breakfast with Santa. Join Santa for the magical North Pole Experience in Flagstaff this winter and book your stay at the DoubleTree by Hilton Flagstaff hotel. Visitors to the Experience will receive a very special rate of $99. Located just a short distance from the NPX trolley departure station, you’ll find everything you need to have a wonderful stay. 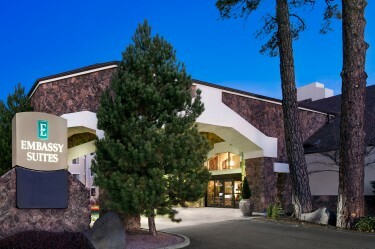 The Courtyard Marriott Flagstaff is a beautiful property, featuring an indoor pool. Other amenities include a bar/lounge and a coffee shop/café. Guestrooms also feature refrigerators and complimentary high-speed Internet. 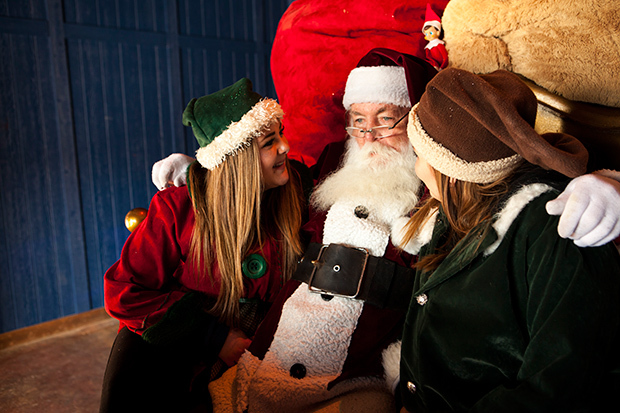 Room reservations at Courtyard Marriott Flagstaff start at $99.00 for North Pole Experience guests. 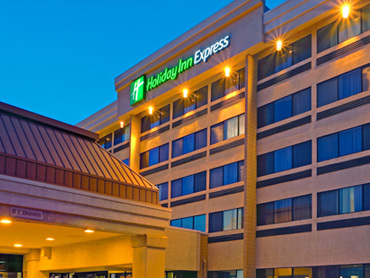 Holiday Inn Express located next door to Little America Hotel offers NPX guests a discounted rate of $109.00 per night. 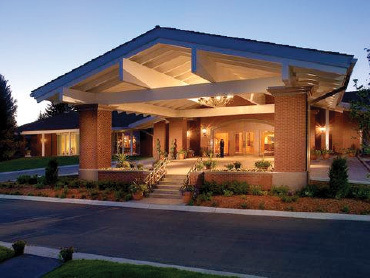 Rate includes a full hot American breakfast, complimentary wifi throughout the Hotel and an indoor/outdoor heated pool and spa for our guests enjoyment along with complimentary local and long distance phone calls. 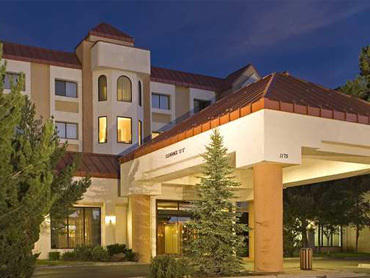 Embassy Suites Flagstaff offers NPX guests spacious two-room suites. The hotel provides complimentary cooked-to-order breakfast every morning in the tranquil lobby area and a nightly Managers Reception with two complimentary drinks and light snacks. 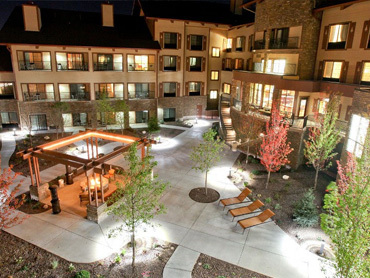 The Arizona Mountain Inn offers the largest variety of cabins in beautiful Flagstaff, Arizona. 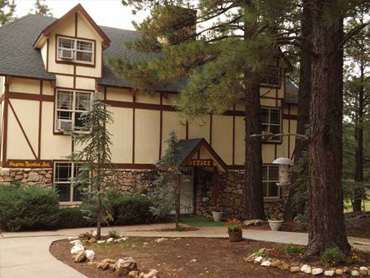 The Inn is tucked back off the road on thirteen acres of secluded Ponderosa pines. This unique location gives you all the conveniences of town while still offering all the splendors of nature! HAVE QUESTIONS? OUR ELVES HAVE THE ANSWERS. Click below for the most frequently asked questions about the North Pole Experience, and what to expect. Be sure to book early to secure the best dates and times. Choose a date and grab your tickets for what promises to be your family’s most cherished Christmas tradition. 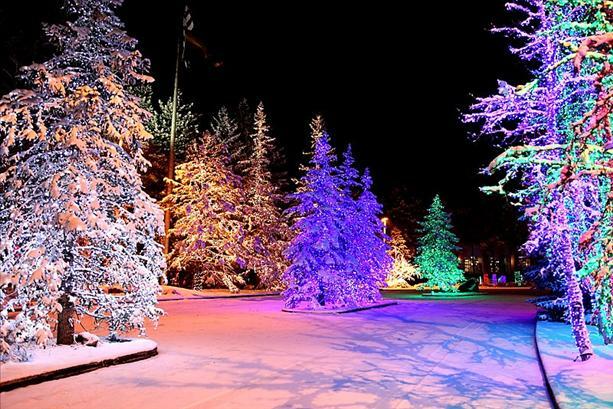 Flagstaff, Arizona’s, North Pole Experience may be as close to the real North Pole as you ever get, and trust us: This place is Christmas to the core. FOX 10’s Cory McCloskey checks out some of the Christmas activities at the North Pole Experience in Flagstaff. (11/20/14) All 5 live shots can be found below! A horse-drawn carriage picked Cali and her parents up down the block and brought them to their transformed home. Volunteers from the local fire department and an event planning business, J Barry Designs, had spent the day making snow on the lawn. Crews covered her home and yard in decorations and lights and built a Minnie Mouse-themed tent next to her house. The 2-year-old reveled in seeing her first snow and threw a snowball at her father. Inside, Cali was greeted by Minnie Mouse, Santa, an elf and a tea party. Her presents included a two-night-stay at the North Pole Experience, a look at St. Nick’s headquarters. Cali will be the guest of honor and turn on the festive park’s Christmas lights. She also received a card filled with Visa gift cards from Brock Osweiler, backup quarterback for the Denver Broncos. 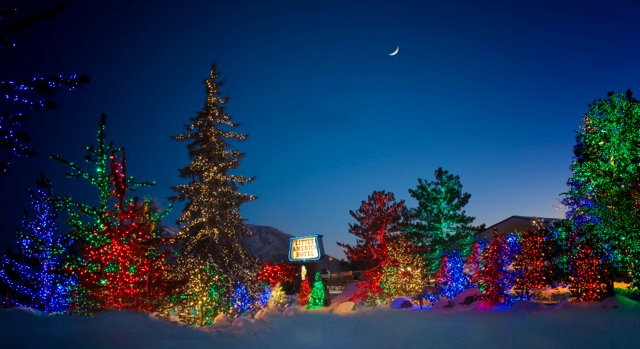 THE NORTH POLE — It has become one of the most holiday popular events in our state, and this year, The North Pole Experience is getting ready to deliver even more Christmas magic to children during the holiday season. Heidi Goitia visited the North Pole Experience in Flagstaff on “Good Morning Arizona” Thursday to explore the winter wonderland, and see what magic is in store for the little ones. 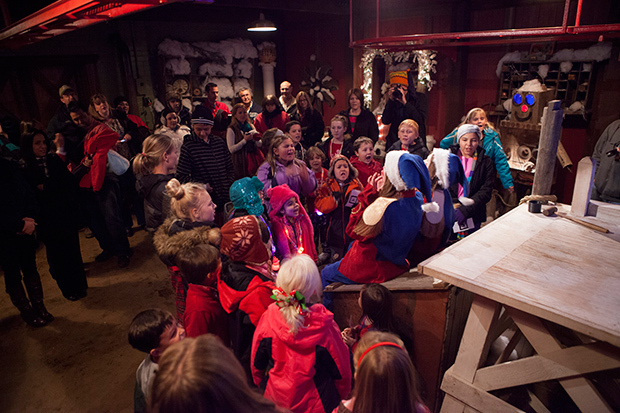 At the North Pole Experience, visitors first go through the “portal” to the Christmas adventure. They begin their journey at Santa’s Toy Invention Hall of Fame where they can see popular toys that elves have made over the decades. After their hard work, they are rewarded with hot chocolate and cookies. While the children eat, they sing with the elves, and their Christmas spirit will very likely summon a visit from Santa Claus himself! The adventure begins at Little America Hotel in Flagstaff. The hotel is located near Interstate 40, and it will be decked out in millions of lights. 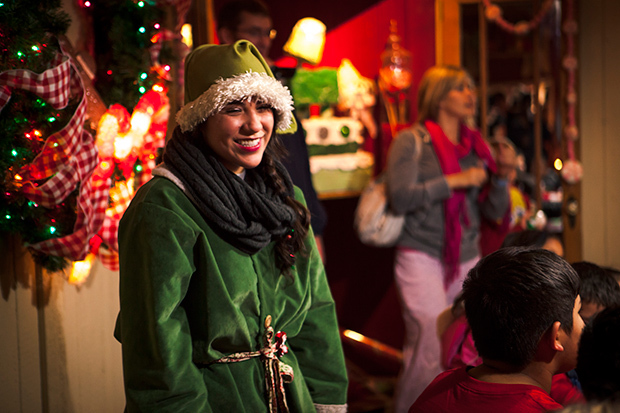 Families will climb aboard their elf-driven trolley and ride through the magic portal to Santa’s workshop. All along the way, Christmas music rings, lights flash and the magic begins. The entire North Pole Experience takes approximately 1 hour and 45 minutes. Tickets start at just $38, and tours are available November 21 through December 27. Drive time to Flagstaff from Phoenix is about two hours. Visit northpoleexperience.com or call 480-779-9679 to purchase tickets. Kids of all ages will be in the Christmas spirit after they make a trip to Santa’s workshop during the annual staging of the North Pole Experience in Flagstaff, AZ. Alabaster Snowflake, Santa’s head elf, stopped by the Channel 3’s studio discuss new, never before seen additions to Santa’s workshop with Ryan O’Donnell. Alabaster Snowflake stopped by Arizona 15’s Sonoran Living to discuss all things North Pole Experience. Santa Claus is relocating his workshop but Arizona families will still get a taste of the North Pole magic at it’s new location in Flagstaff, AZ. 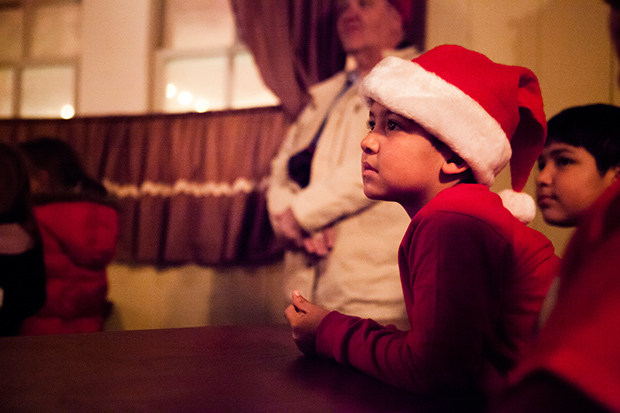 The North Pole Experience offers families a trip to Santa’s magical workshop and a chance to rebuild Greer, AZ. Get in the holiday spirit with a trip to the North Pole. 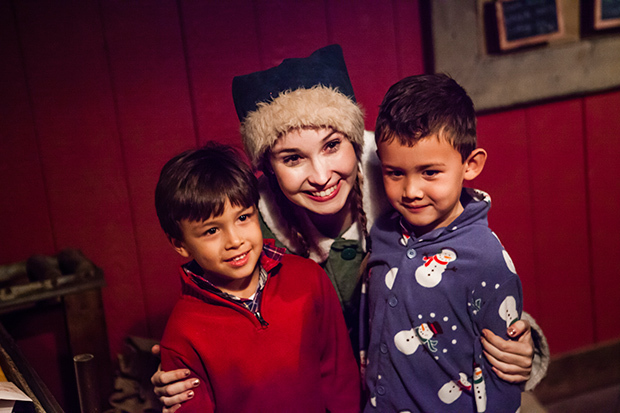 While at the North Pole Experience, you can meet Santa and his elves, tour his 400 year old workshop and attend Elf University. Want to travel to the North Pole? It’s closer than you think! 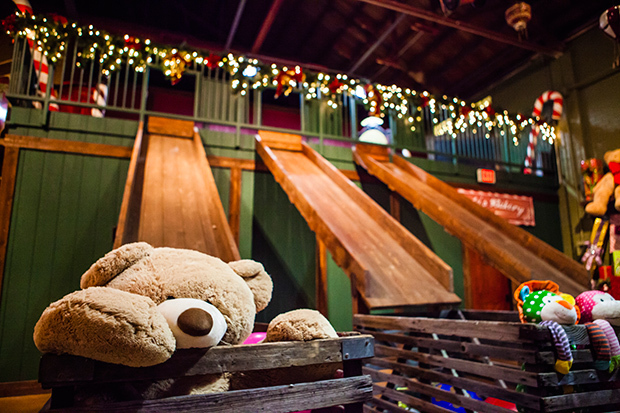 In Flagstaff, a magic trolley transports you to Santa’s workshop at the North Pole. 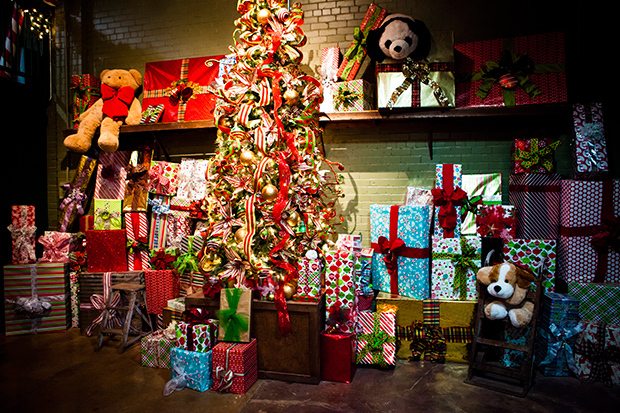 You’ll see Santa’s toy hall of fame, toy building workshop, bakery and more. Tickets are on sale now, but may not be for long because this event gets more popular every year. Santa’s workshop is closer than you think! Get a glimpse of the magic on Fox 10 Phoenix, while Cory McCloskey speaks to Santa himself! If you’re looking for a family-friendly adventure during the holidays, then make sure to get tickets to the North Pole Experience. 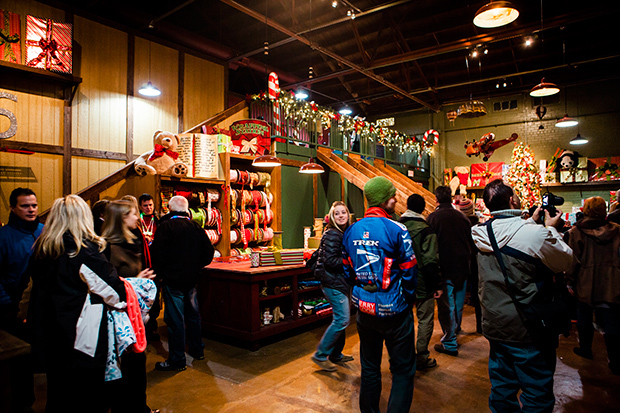 Kids get to tour Santa’s toy shop, Elf University and many other magical parts of Santa’s workshop during the trip. Book now, as tickets are selling quick. 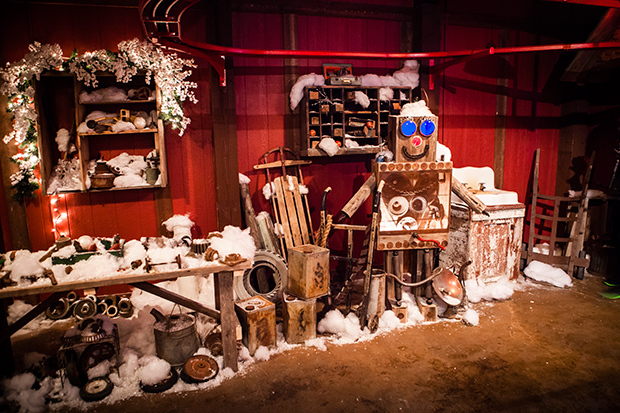 Visit the North Pole and experience the magic of Santa’s workshop. 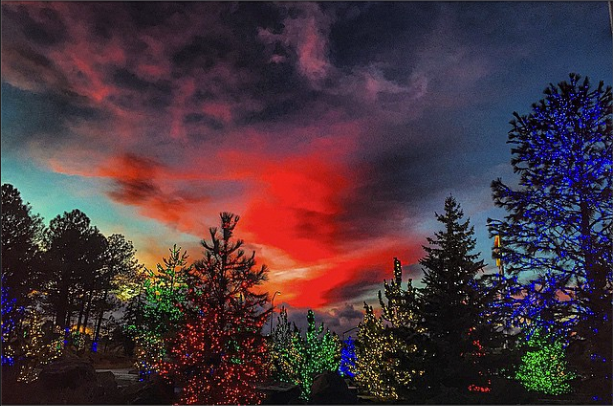 Santa and his elves are closer than you think, with the portal to the North Pole being in Flagstaff, AZ. 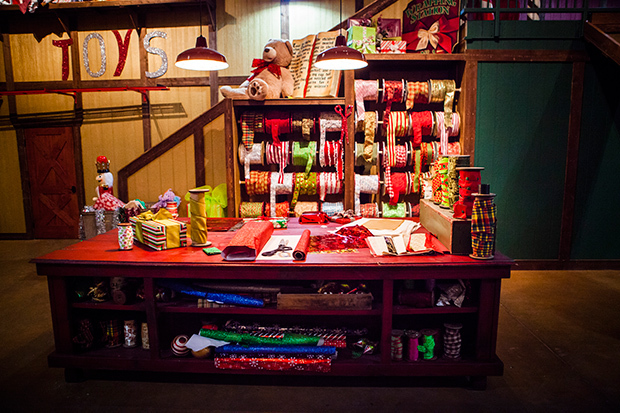 Take a sneak peek into Santa’s workshop! 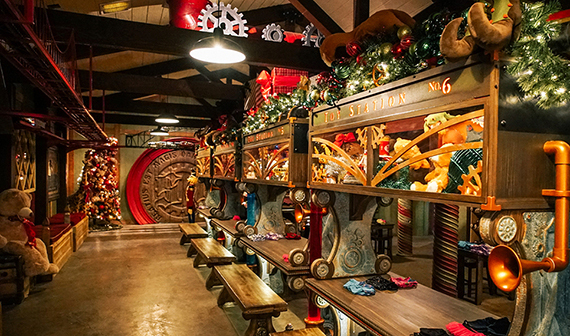 Over 400 years old, Santa is unveiling an even bigger experience for the holidays, including additional special lighting effects at the toy workshop, expanded rooms for toy-making interaction and enhancements to Santa’s sleigh.